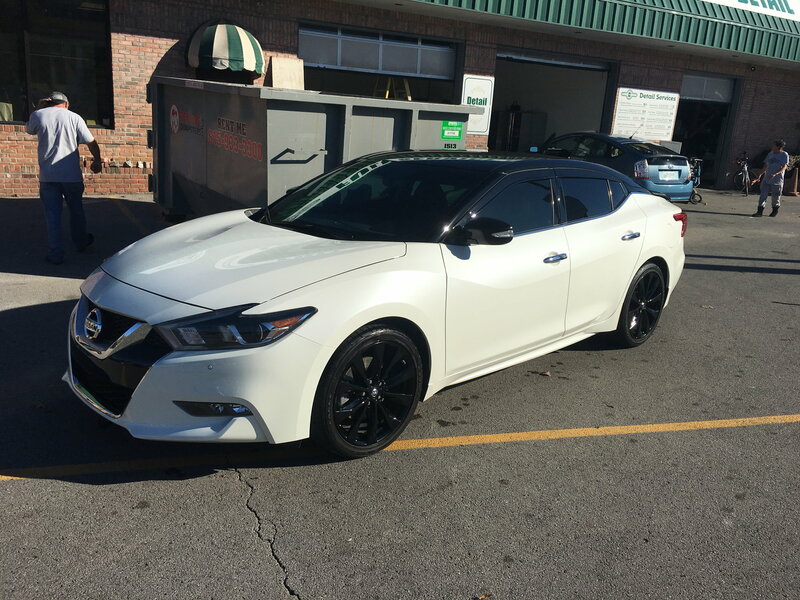 which wheels look best with 8th gen Maxima? wondering which wheels look best with the 8th gen maxima. if you guys have pics, please share, i’m looking for inspiration ! Anything that is not black! Which girl is the prettiest? I agree 100%. I will be glad when the black wheel craze is over. painted my oem 18s of the ‘13 kh3 altima satin white. Fishlet, to me those wheels look kinda too busy so I think plasti dipping the shaded area on this pic would make your wheels look way better.It can be done for less than 10 bucks. Hmm, I can see your point, but can't say you've sold me on the idea. But hey, its a good starting point for someone else using these wheels. I'm with you Fishlet - I like the medallions. Jax's alternative looks sharp too. 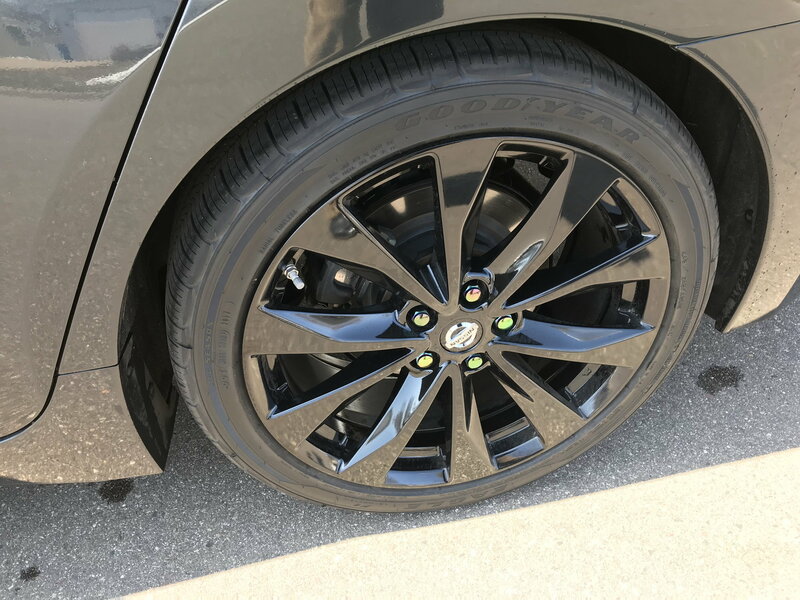 It took me a long time to choose rims for my 8th gen but finally went with the factory black 19's instead of the ugly factory 18 alloys. I had 19x10 Rays on my 7th gen but the fam didn't like the ride quality with coilovers, etc. so I decided to stay somewhat stock on the 8th gen instead. I know some of you don't like the black rims but the look is growing on me. They really pop with the lighter colors too. 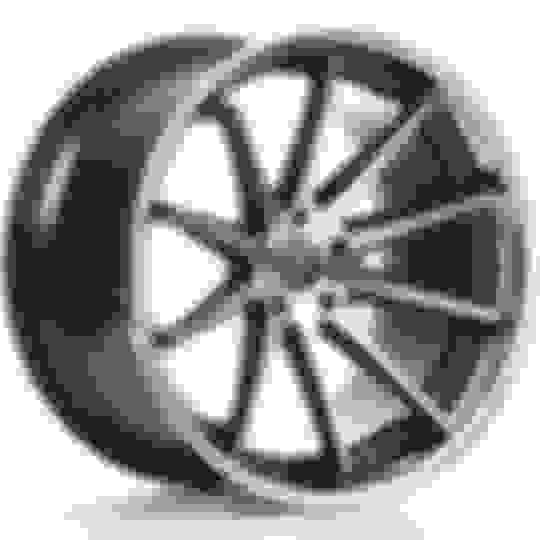 I have just picked up a set of used vossen cvt in silver. I have to get a wheel fixed from previous owner curbed it. As long as you like the wheels, it's a winner! I am in the "dislike black wheels" camp but I grew up in SoCal where chrome was king. Sounds like your dealer was flexible in swapping out wheels? Speaking of wheels, I have the Midnights on my SR and I have the old SR wheels for sale. I like the black much more than the diamond cut. Since the gloss on the wheels matches the KH3 super black paint perfectly, it's a killer look. The alloy & black original wheels are boring. “As long as you like the wheels, it's a winner! Actually I’m not much of a fan of the local dealership so I did all the wheel swaps with a local guy and kept the 18’s in case I decide to swap Blizzaks on again next winter. We had a late season storm and my wife did not like how the Goodyear Eagle F1 Asymmetric All-season’s handled. The only thing I am in need of is black or neo chrome mag seat lugs (M12 x 1.25 of course) for these rims. Nissan and my usual sources don’t seem to offer them. Detroit Wheel & Tire might have them. 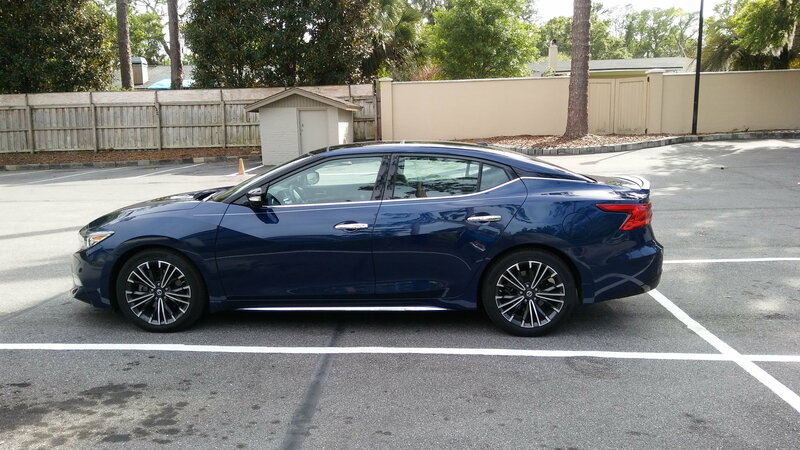 For my old '14 Limited Edition Maxima in Gunmetal, I bought some gunmetal lugs for it from them, same size. If they have gunmetal, black isn't impossible. I was forced to acquire some new wheels this past week as I hit something in the freeway going about 80 mph and blew my 2 driver side tires and bent the rear wheel.. So after a tow off the freeway and a then a flatbed tow home, I was lucky enough to score a set of almost new SR wheels with tires for $500.00 locally on OfferUp.com on the same day...wheels are in great condition and the tires have plenty of life left. I really like the look of the stock SR wheels as my car is black with tinted windows plus i don't care for the whole "murdered out" look ( its kinda played out IMO ). My car is a base model so the new wheels are an added bonus.. the Nissan gods were with me that day!! Totally agree about the overdone "black out" on most cars brightware. I think you got a heck of a deal on the new to you wheels and tires. I have 500 bucks in one wheel and tire replacement. It would be good to go back and grab the remaining 2 wheels and tires if you can. These cars eat wheels easily. Actually I got the whole set of 4 for $500.00.... I was really surprised that the guy was letting them go for so cheap especially since I called the stealership and they quoted me $660.00 for a new 18" stock rim.... He had an SR with all the bells and whistles, exhaust/wheels/tint/vinyl wrap/stereo. said he was going to make it into a show car. like I said the Nissan gods were with me that day ! I like the black rim look. Anyone running bronze? You mean the whole" wheel"of which the "rim" is a component of? 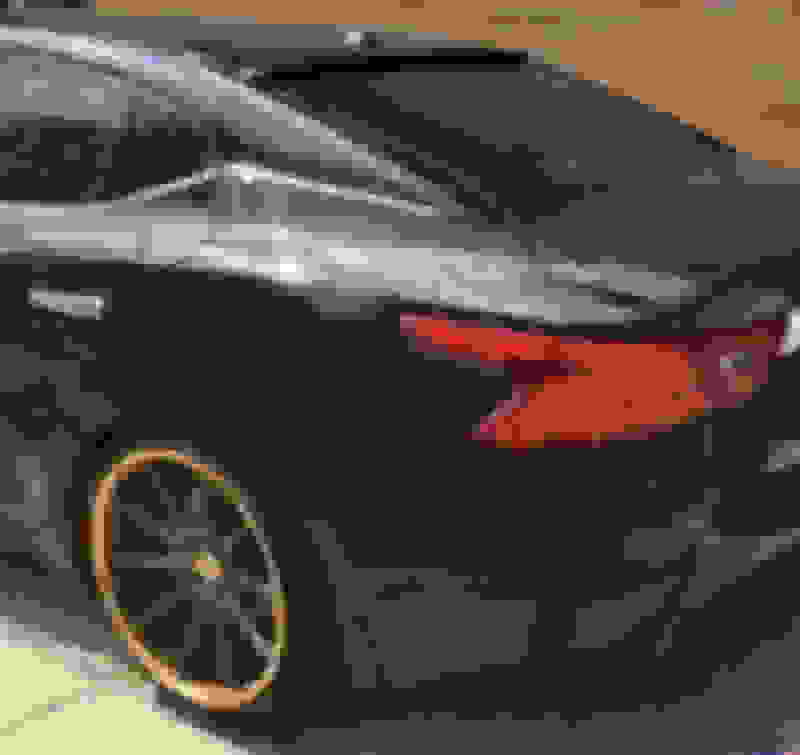 Will 7th gen axle back exhaust fit on 8th gen Maxima? 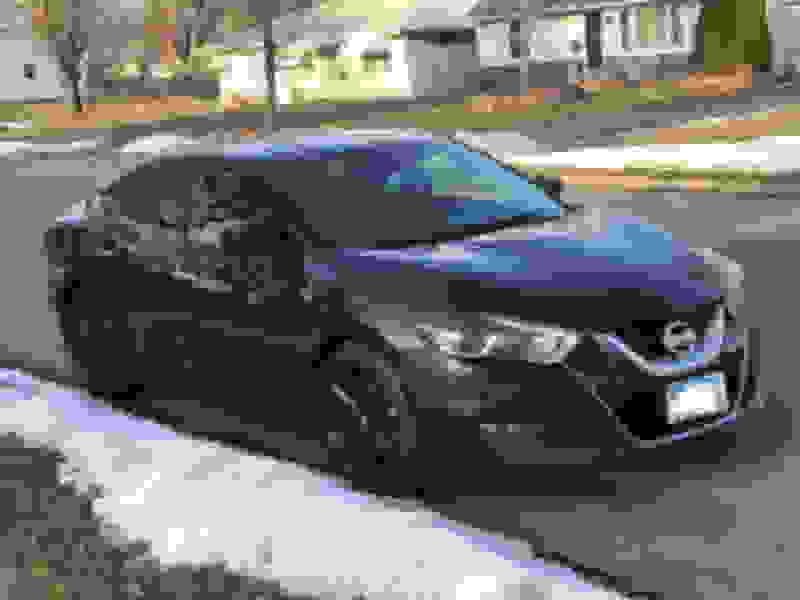 Will 7th gen axle back exhaust fit 8th gen maxima? Which OEM wheels look the best? Quick Reply: which wheels look best with 8th gen Maxima?